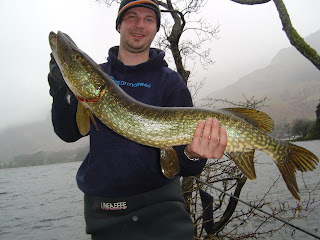 Fergus Weall fished Loch Lomond for a full weekend and caught this Pike fishing from one of the islands. The fish weighed 14lb and was taken on a popped-up herring on a ledger rig. It is his best so far this year and very close to his PB. As you can see he is chuffed to bits!